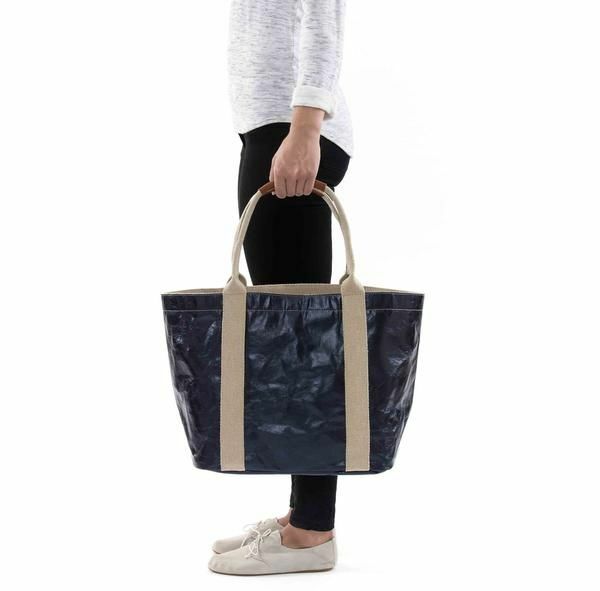 This Shopper Tote is part of our new waxed paper range, which is both water and stain resistant. 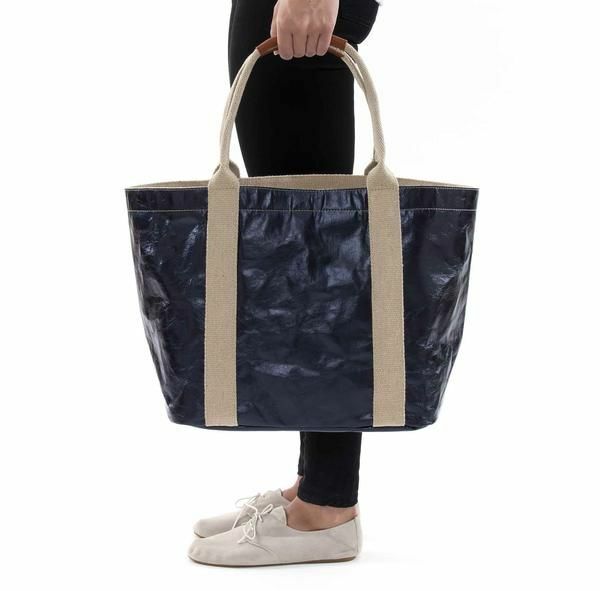 Designed as a casual alternative to the everyday classic tote handbag, the shopper tote is a generously sized bag made from a combination of paper, cotton and leather. 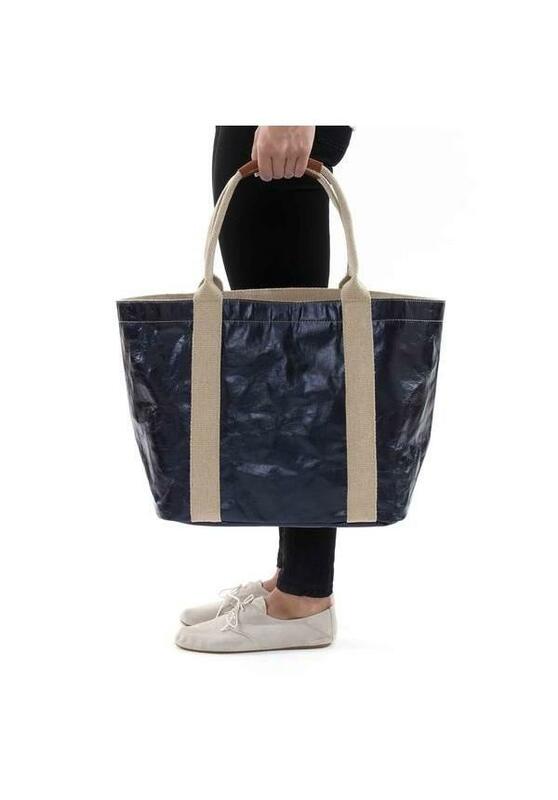 This design has one internal zipped pocket and a magnetic close. 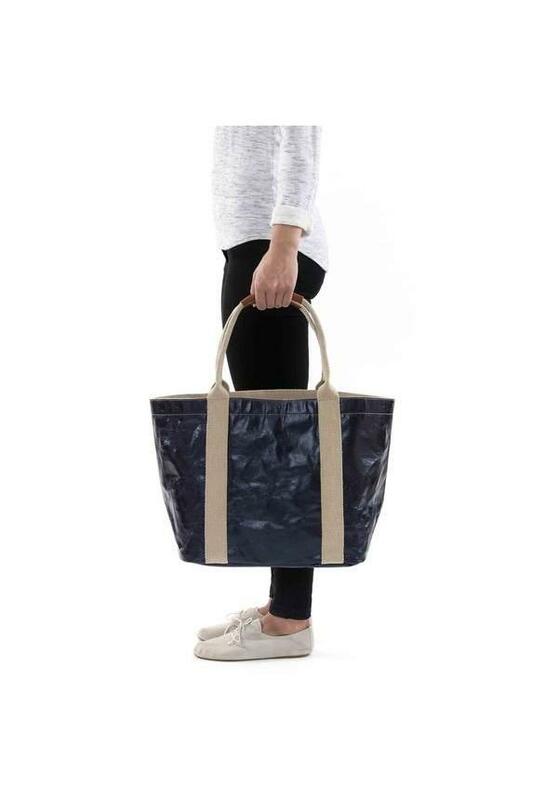 Available in two sizes, this bag will take you everywhere.